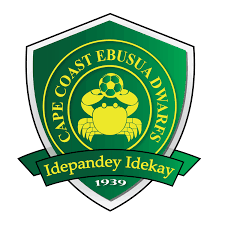 Cape Coast Mysterious Dwarfs known also as Ebusua Dwarfs is a Ghanaian top-flight football club based in Cape Coast with a deep history of the game in the country. The team was formed in 1939 and they are part of the Ghana Premier League and play their home matches at Cape Coast Sports Stadium which has become their recent home ground. Dwarfs won the Ghana Premier League in the 1965–66 league season and went on to conquer the FA Cup 1968. 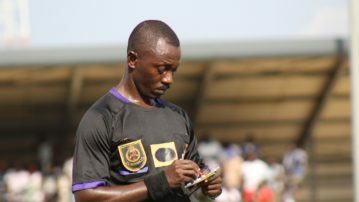 They have fallen on hard times in recent time and relegated to the second tier before regaining their slot in the Ghana Premier League. New Cape coast stadium is a new stadium in Cape Coast in the Central Region of Ghana. It is a multi purpose stadium but mostly used for football matches . It was one of the host stadia for the 2017 Wafu championship and Ghana's national team the Black Stars also played their last 2018 World Cup qualifier against Egypt at that venue. It is also the home of one of Ghana's biggest clubs cape coast Ebusua Dwarfs .